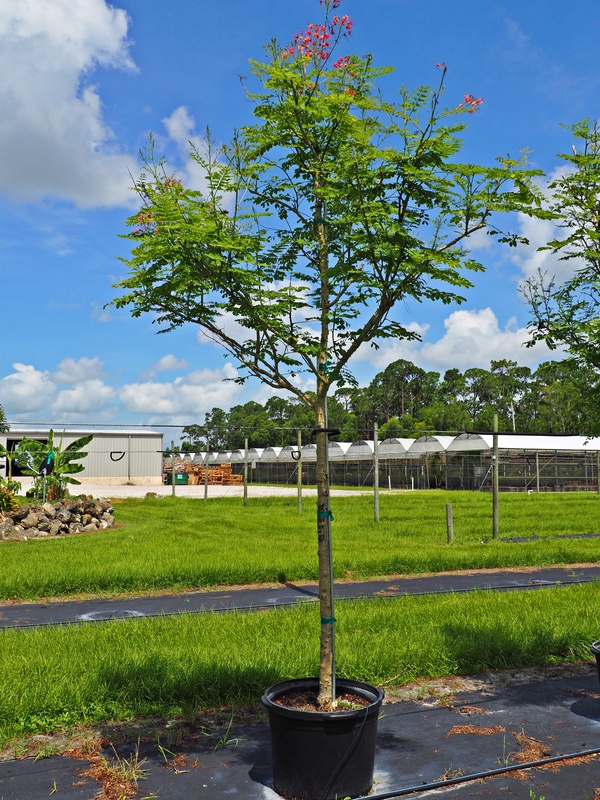 Dwarf poinciana is a shrubby, ornamental accent tree with multiple trunks, blooming on and off during warm months in South Florida. Not actually related to the enormous royal poinciana, the dwarf’s bloom is the national flower of Barbados, where the plant is known as “Pride of Barbados.” The butterfly-attracting flowers are brilliant red-orange (the most common color), yellow or dark pink, depending on the variety. This diminutive flowering tree can be grown as a large shrub, if you prefer, or keep the base cleaned up for a more tree-like look.